This article describes the timeline of a foreclosure case from beginning to end. Lender’s law firm files Order to Docket. OAH will schedule the mediation within 60 days of receiving the request. OAH can extend the time up to 30 days for good cause or longer if all parties agree. OAH will also include instructions for documents that need to be provided to OAH and the lender’s law firm prior to the mediation. These documents should be provided no later than 20 days before the scheduled date of mediation. If there is no agreement in mediation, the Lender schedules the home for foreclosure sale. 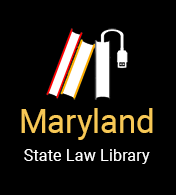 Homeowner may file a motion to stay or dismiss under Maryland Rule 14-211 if they have a valid defense on why the lender does not have the right to foreclosure on their home. The motion to stay must be filed within 15 days after the mediation is held. If no mediation occurs, then the motion must be filed within 15 days after OAH files its report with the court. This might occur if one party fails to appear for mediation. The homeowner might file a stay if the homeowner has not received a final determination on the completed loss mitigation application that was received by the lender at least 37 days before the sale date. When the lender schedules the foreclosure sale, they must provide notice to homeowner.